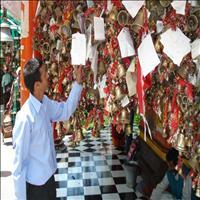 Almora, known as the town of temples, and is famous for the Nanda Devi temple situated in the centre of the town. Unlike Shimla, Ranikhet and Nainital that were developed by the English, Almora is a hill station totally developed by the Indians.<br />Almora is a town in the shape of a horseshoe. It is on a 5 km long mountain range with its own historical, cultural and political importance. 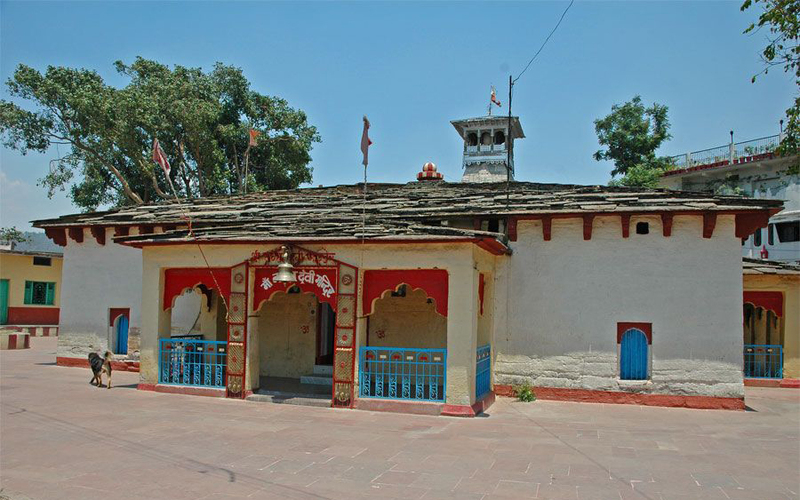 Once the capital of Kumaon, King Balo Kalyan Chand set it up in 1563.The descendents from the Kyutar dynasty and the Chand dynasty ruled here in the old times. 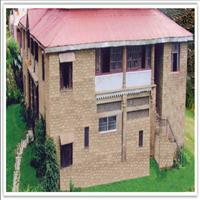 The forts, other historical monuments, courts and governmental offices are still present today. The two rivers, Kaushik (Koshi) and Shalmali (Suyal) flow near the town. 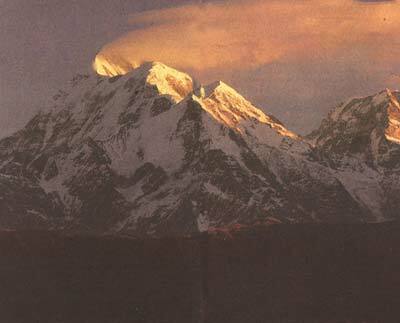 The snow capped peaks of the Himalayas are visible from this place. 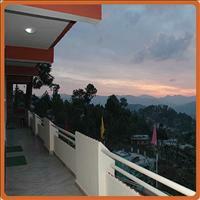 The district of Almora is located in the northern parts of province of Uttaranchal in India. In east lies the district of Pithoragarh bordering Tibet and its west lays the district of Garhwal and its North is the newly created district of Bageshwer and in the South there is the district Nainital. 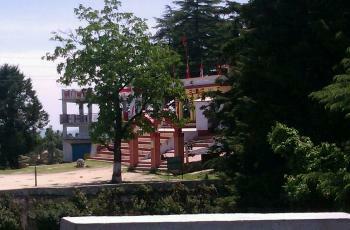 This ancient temple is one of the main attractions of Almora town. This hundred year old temple has delicately carved beautiful images of various dieties in the inside of the temple. Locals throng this temple during the annual fair, which is organised here. Groups of young men & women dance on the pulsating music of the mountains. Deer park is located some three kms from Almora. An evening stroll in Deer park has its own pleasure. The local people have much faith on this temple. 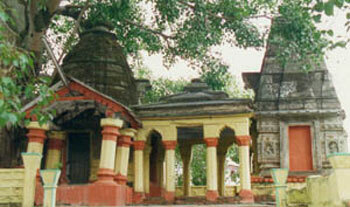 The Chetai temple is located eight kms from Almora. This temple is surrounded by dense fur and pine tree forest. 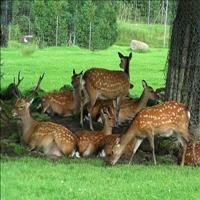 If you are a nature lover then you will certainly enjoy this place. Near Almora bus stand is the Govind Vallabh Pant Public Museum. This museum provides a deep insight of the development of art, culture, life style of this region. It has a very rich collection items relating to Archaeological, Historic and cultural significance. This museum has unique collection of 'Apen', a folk style of painting. One can have a good view of the various aspect of this style painting. 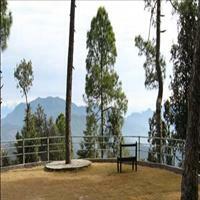 This is a picnic spot about three kms from Almora town. The whole place is covered with pine and fur trees. The calmness and peaceful environment has fun of its own kind. Although far away from each other, these two places are famous for their ancient Shiva temples. While Jageshwar is just 38 kms from Almora with innumerous Shiva temples and legends attached with them, Bageshwar is around 75 kms from Almora. 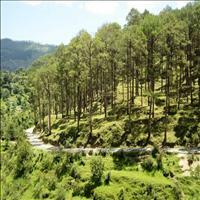 Bageshwar is famous for its confluence of the Rivers, Sarayu and Gomti. The ancient temple dedicated again to lord Shiva, build by the Katyuri rulers attracts may pilgrims to this place, especially in januray on the pious occassion of Makar Sankranti. 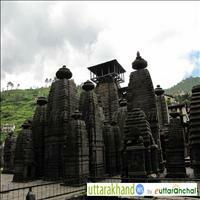 \r\nThere are other places also to be visited from Almora like the Baijanath and the Gananath. Get a peek into the beautiful attractions of Uttaranchal that are just going to steal your breath away. Also known as ‘Dev Bhoomi’, the place is also known as the Land of Gods due to several historic holy Hindu temples and pilgrimage centers found throughout the state.